The whole world has joined to celebrate the International Yoga Day including Bollywood celebrities. Many Bollywood beauties Malaika Arora, Shilpa Shetty, Bipasha Basu and others have taken a route of yoga to inspire us to stay fit. 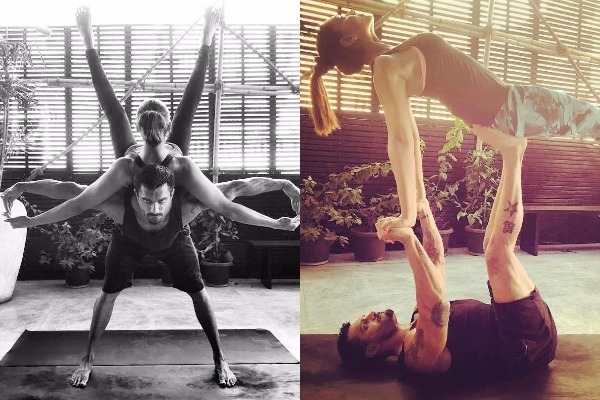 However, what has caught our attention is fitness freak couple Bipasha Basu and Karan Grover’s intimating yoga pictures.